Southern right whales (Eubalaena australis) formed the backbone of one of New Zealand’s first industries: whaling. Due to intense hunting, the species was not seen around the North and South Islands of New Zealand (mainland NZ) for nearly 40 years (1928-1963; Gaskin 1963), but a remnant population persisted in the sub-Antarctic Auckland and Campbell Islands. 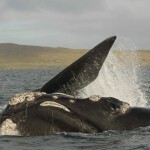 Southern right whales aggregate during winter to calve and mate at Port Ross, Auckland Islands (Patenaude et al 1998). Researchers from the University of Auckland, including Dr Emma Carroll, Department of Conservation and the Australian Antarctic Division undertook a recent series of expeditions, during the winters of 2006-2009. This work sought to continue previous work, led by Dr Nathalie Patenaude and Prof Scott Baker, based on surveys from 1995-1998. In addition, our group has been working with the DOC who launched a public awareness campaign on right whales since 2003. Small skin samples are collected from southern right during opportunistic encounters around mainland NZ and during the expeditions to the Auckland Islands. DNA is extracted from the skin sample that allows us to create a unique DNA profile for each whale. For the first time, we showed movement of individual whales between the Auckland Islands and mainland NZ using DNA profiles (Carroll et al 2011a). Based on the pattern of recovery and movement, it seems likely that whales from the Auckland Islands are recolonising habitat around mainland NZ (Carroll et al 2011a, Carroll et al submitteda). We estimate the NZ population of right whales numbered 900 whales in 1998, based on mark recapture models of individuals identified from DNA profiles and photographs of natural markings (Carroll et al 2011b). More recent work integrating DNA profile data from 1995-2009 suggests the population has approximately doubled since 1998 (Carroll et al submitted; Carroll et al 2011c). 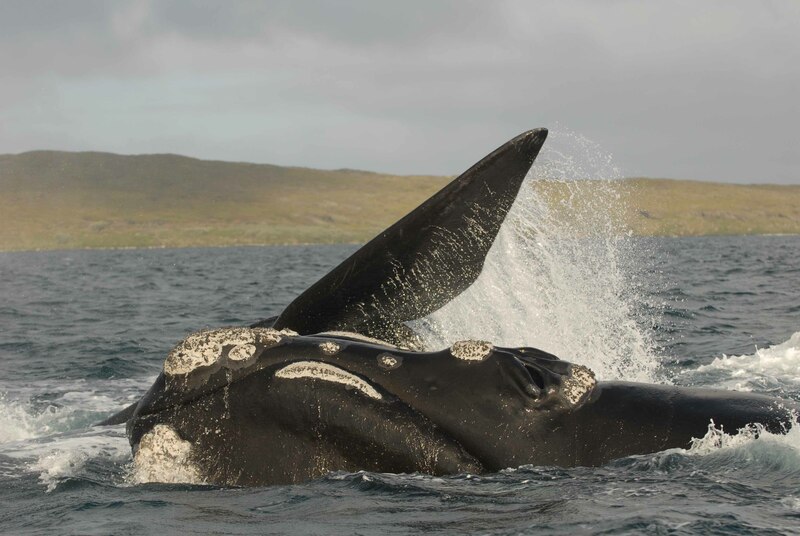 The NZ population of right whales appears to be isolated from the Australian populations, based on work conducted with researchers from Macquarie University and the Western Australian Museum and a recent paternity analysis (Carroll et al 2012).